FREE! 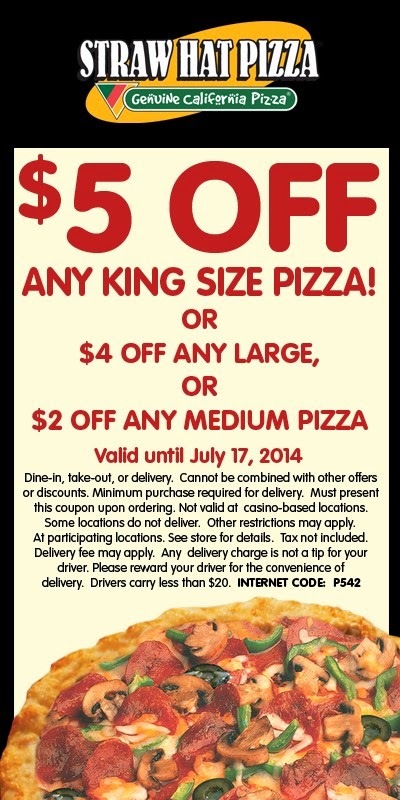 3 Groovy Twists with purchase of Medium or Larger Pizza! 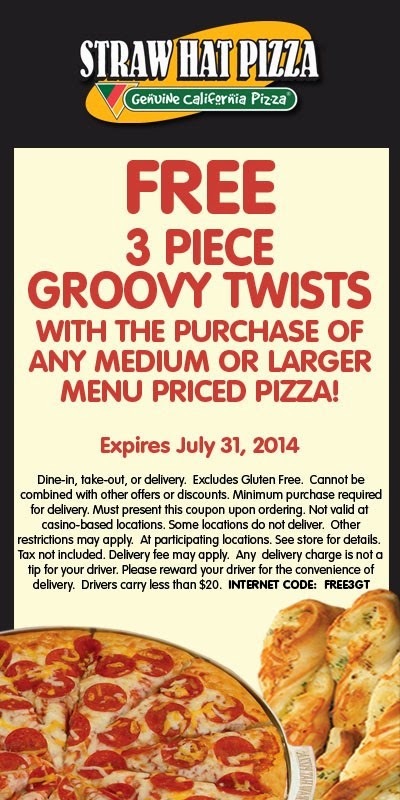 Free 3 piece Groovy Twists with purchase of Medium or Larger Pizza at regular menu price! Valid at participating locations. Dine-in, take-out or delivery. Excludes Gluten Free. Cannot be combined with other offers or discounts. Minimum purchase required for delivery. Not valid at casino-based locations. Some locations do not deliver. Other restrictions may apply. See store for details. For a limited time. Tax not included. Delivery fee may apply. Any delivery charge is not a tip for your driver. Please reward your driver for the convenience of delivery. Drivers carry less than $20.